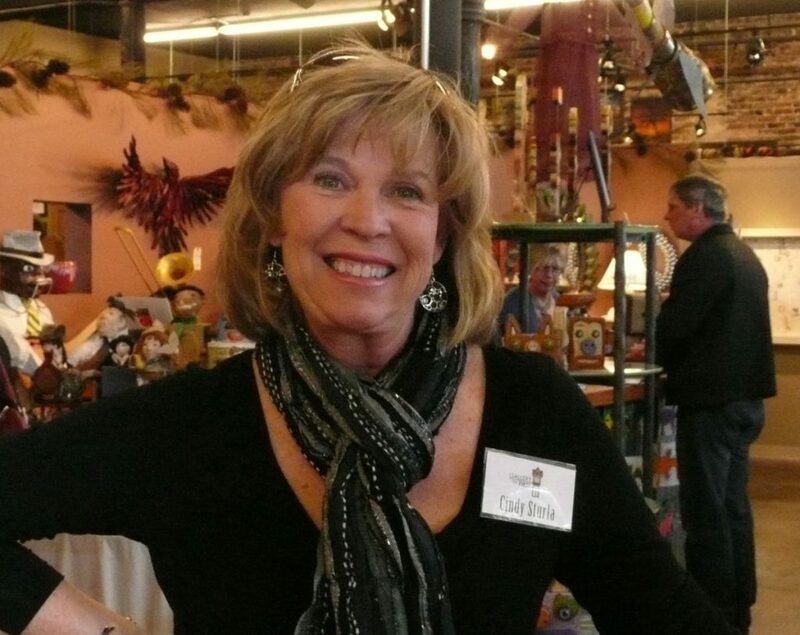 Originally from the Chicago area, Cindy moved to Florida in 1982 and lives in Winter Springs. She studied fine arts at the University of Pittsburgh before moving to Europe with her husband and daughter in the 70’s. Having the opportunity to travel to all the great cities of Europe and visit the churches, museums, and galleries greatly influenced her art. 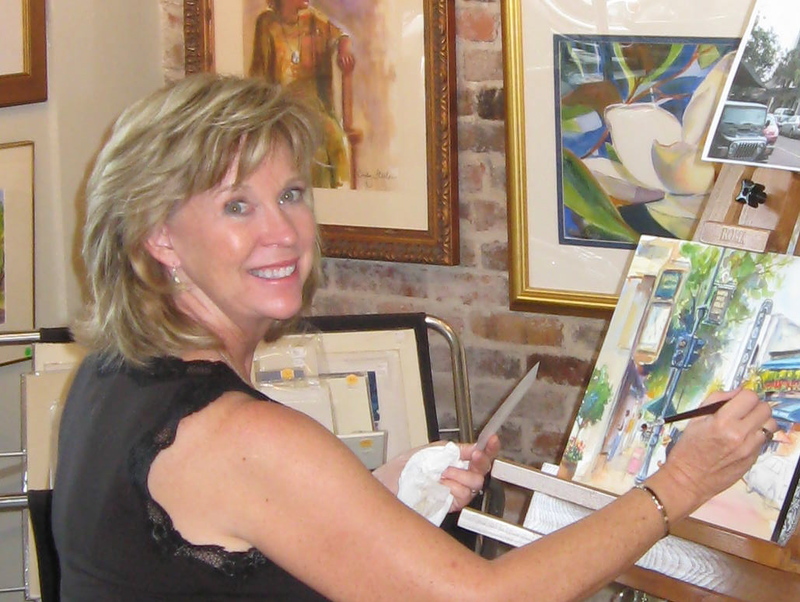 When the family moved to Florida, the natural beauty and marvelous light motivated Cindy to start painting in watercolor. 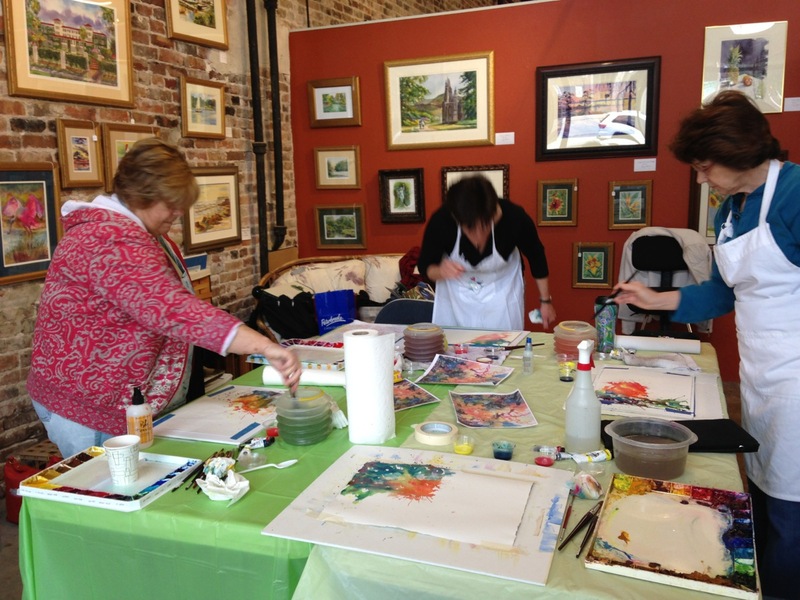 “The luminous quality of watercolor works beautifully with the light and color here in Florida.” After picking up some classes in landscape and watercolor at Crealde, Cindy started painting with a group of women who shared her passion for painting Florida landscape. The group had their first show at the Winter Park Library in March 2000 and has grown to over 40 active members who work and show around Central Florida. 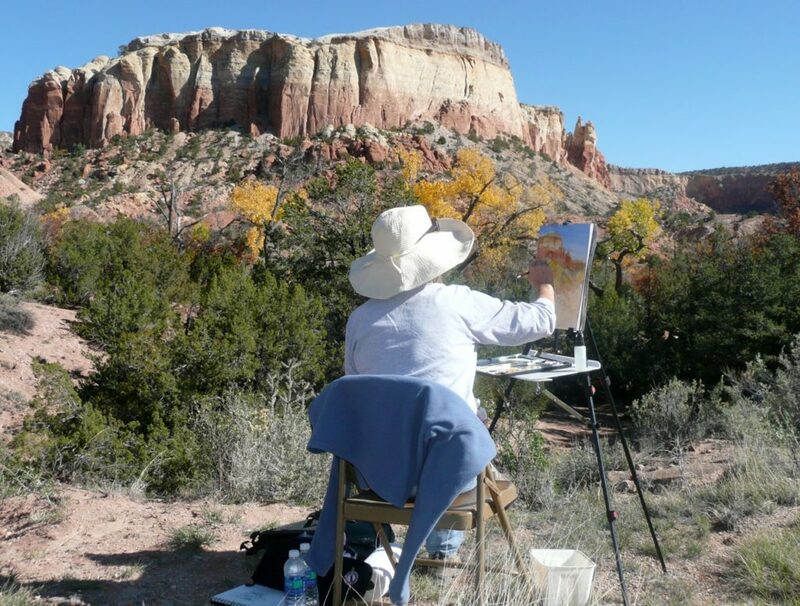 After doing juried art shows for several years, Cindy joined Gallery on First in May 2006 and has shared a studio with Stewart Jones, also a watercolorist and plein air painter. 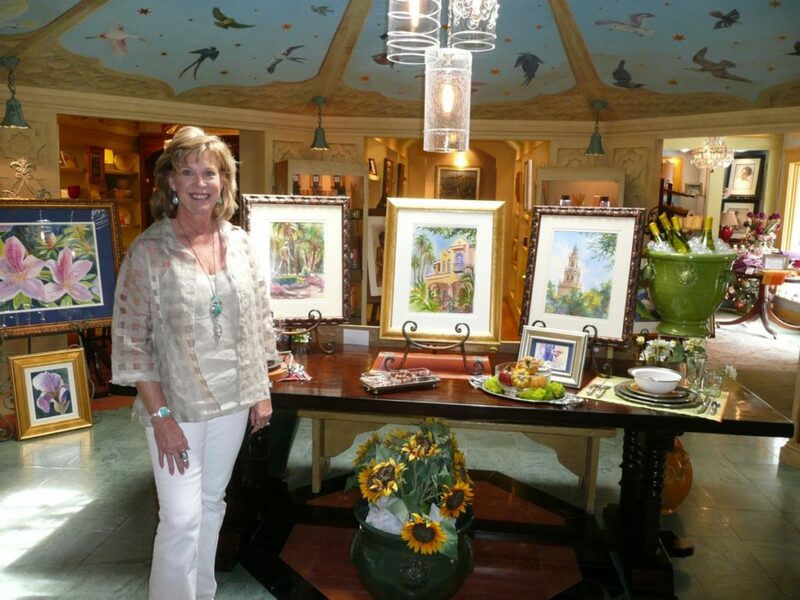 Cindy regularly travels around the state participating in juried “plein air” exhibitions around the state, including Epcot’s Flower and Garden show. 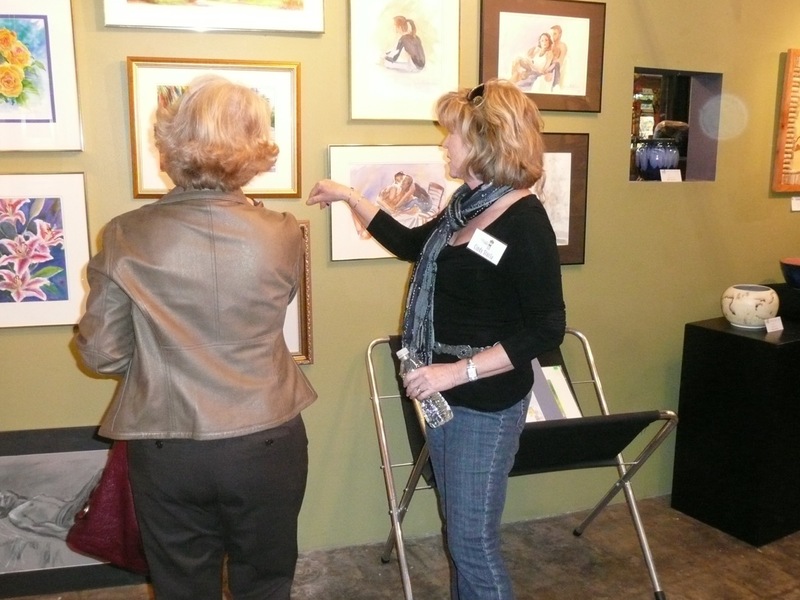 She has won a number of awards, including poster artist of Taste of Oviedo in 2002 and 2007. She offers watercolor painting classes at Gallery on First. Although she prefers to work from life, Cindy does studio work from photographs and will do commissions including portraits.